Now You Can Drink Ramen-Flavored Beer… Just Like You Always Wanted? We’ve seen beers that have been brewed with all kinds of unexpected foods — oysters (and Rocky Mountain oysters, or, bull’s testicles), pizza, donuts, and curry. Suffice to say, craft beers mixed with seemingly odd ingredients are hardly a shocker anymore. The brewery’s Facebook page describes the beer as “light and tart.” It’s also made with ginger, lime, lemongrass, and a seaweed-cured sea salt. Absent from the ingredient list (thankfully) are those powdered flavor packets—chicken, beef, shrimp, or the obscure “oriental” flavor. But, don’t expect the change in your couch to cover the cost of this beer. It’s $7 for a bottle, far more expensive than the cheap Natty Ice and 10-cent brick of ramen pairing from your college days. We’ll give it to the brewery. 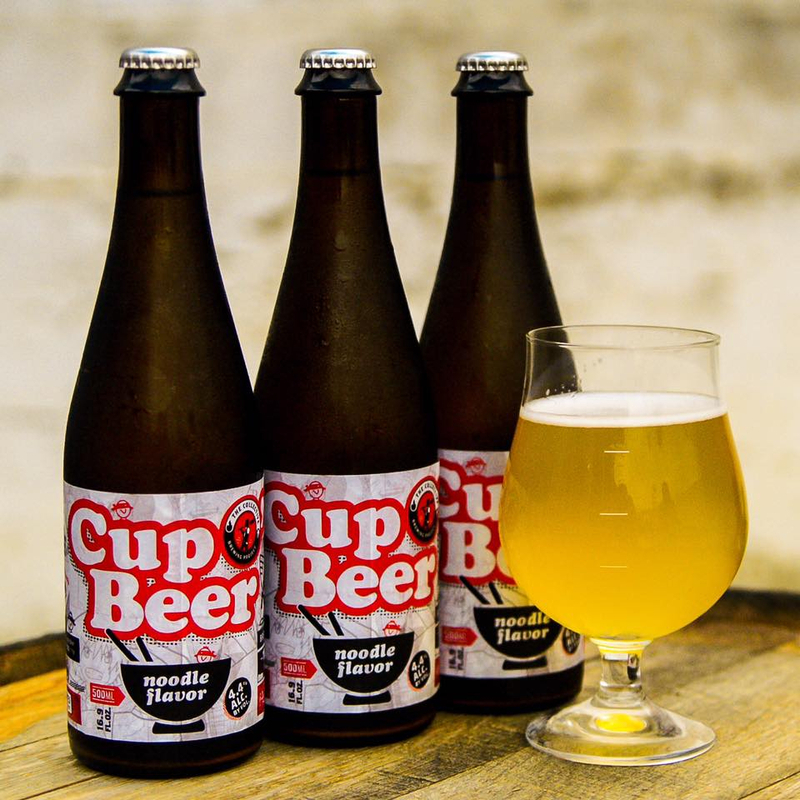 The ramen beer has gained publicity, and also some fans, including one who posted on the brewery’s Facebook page that he ordered the Cup O’ Beer for novelty’s sake, and ended up enjoying it. Fine, just don’t slurp it, please.